← #TuneIn: The Bomb Vida Radio Show feat. S.P.O.T. The new song is an expression of thanks and gratitude. 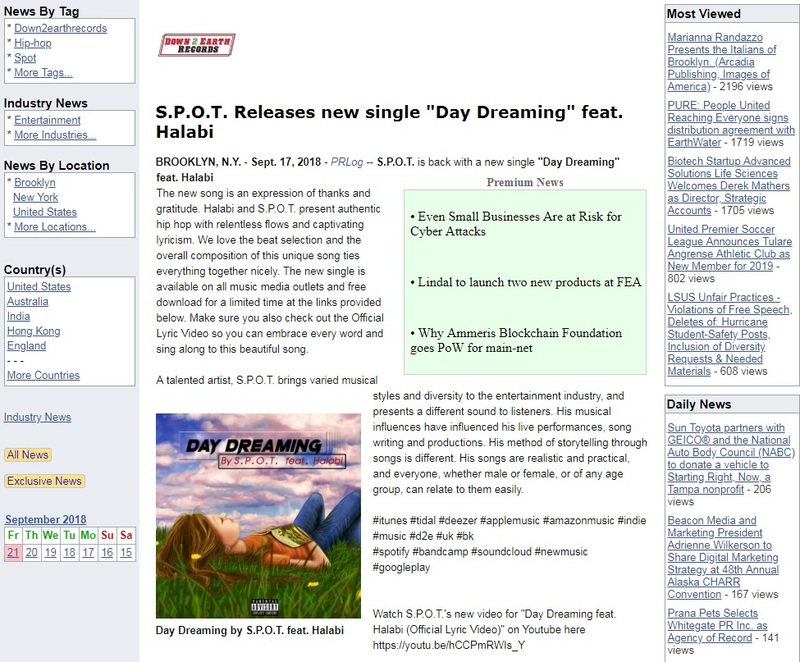 Halabi and S.P.O.T. present authentic hip hop with relentless flows and captivating lyricism. We love the beat selection and the overall composition of this unique song ties everything together nicely. The new single is available on all music media outlets and free download for a limited time at the links provided below. Make sure you also check out the Official Lyric Video so you can embrace every word and sing along to this beautiful song. A talented artist, S.P.O.T. brings varied musical styles and diversity to the entertainment industry, and presents a different sound to listeners. His musical influences have influenced his live performances, song writing and productions. His method of storytelling through songs is different. His songs are realistic and practical, and everyone, whether male or female, or of any age group, can relate to them easily. line up this really easy to interpret. utilizes it, including me. Keep doing what you are doing – looking forward to more posts.